There are two ways to play the game. You can either play a game that someone else has created, or create a game that you and others can play. 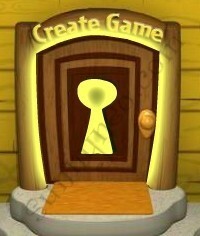 To create a game, you need to click here at the starting screen. 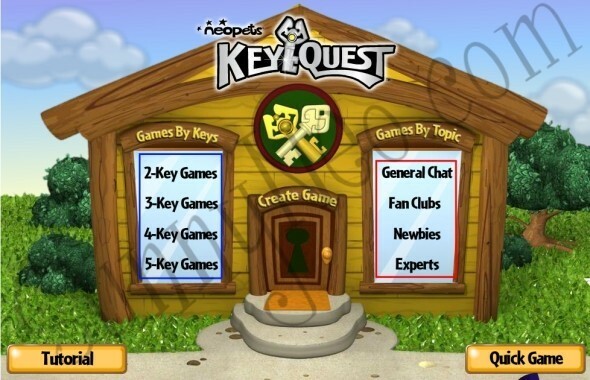 Here, you can select how many keys and players you want, as well as which board you want to play on, which chat room you want to play in, and, eventually, whether you want to talk using the preset options or by typing. 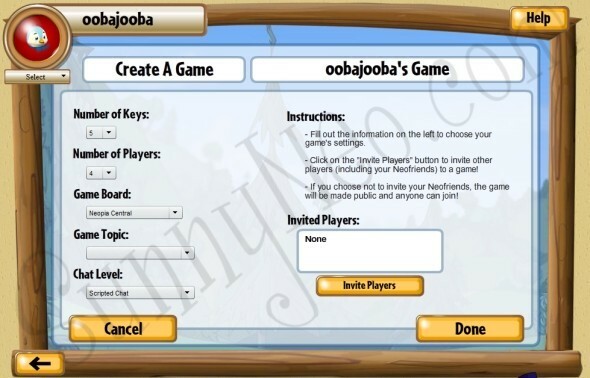 You can also invite players to your game. In the area in a red box, you can type the usernames of the people you want to invite. 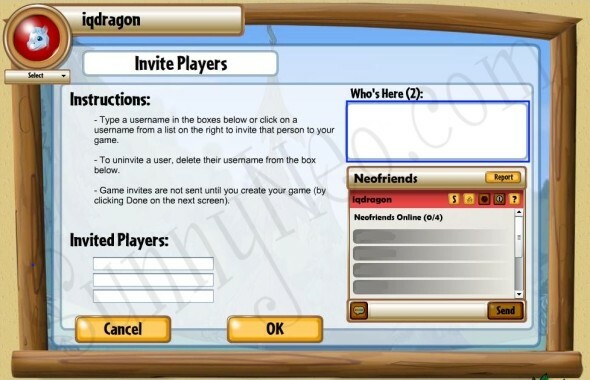 If it's only neofriends that you want to play with, you can click one of the usernames in the blue box. Once you have gone through this process, you can start playing your game. Each of the listed options in the blue section indicates the length of the game that you wish to play. In the red area, you can choose your chat topic. 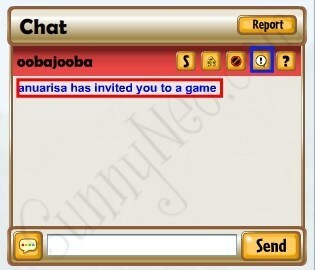 To join the game, select your chosen username, highlighted in red, and either double click it, or click 'join game,' highlighted in blue. Alternatively, you may be invited to a game by a friend. If you want to accept or reject the invite, you may click the blue message. To start to play your game, simply click the green 'Accept' button. After accepting your invitation, you will start your game.